Car Brite has become the most innovative and respected manufacturer in the professional automotive reconditioning industry. Satisfied customers in auto dealerships, auto auctions, body shops, car washes, detail shops and marinas worldwide can attest to the high quality and excellent service of Car Brite. Car Brite was founded in 1947 as a formulator of specialty chemical products and successfully served the Indiana automotive market for 30 years. In 1977, a group that understood the potential for marketing the company’s broad range of premium quality products bought Car Brite and helped establish a leading brand in the automotive reconditioning category. In 2005, Car Brite was acquired by Valvoline, a division of Ashland, Inc., making Car Brite a part of Valvoline’s premium automotive product portfolio. Siegel Oil Company is proud to be the exclusive distributor of Car Brite products in Northern and Western Colorado and provide extensive training in the use and application of Car Brite products. 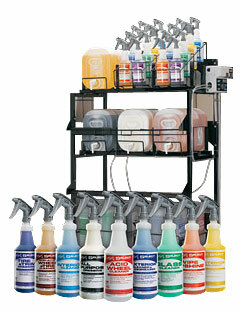 Ask us how we can increase your bottom line with Car Brite!